I wrote and preached on hope this week, the theme of the first week of Advent. Some readers/hearers have given me two terrific references to the "lightness" of hope. 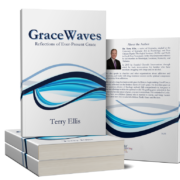 Picking up on the line in GraceWaves "hope is a whisper," one friend wrote me the first stanza of an old hymn entitled "Whispering Hope:"
Soft as the voice of an angel, breathing a lesson unheard, Hope with a gentle persuasion, whispers her comforting word. Wait till the darkness is over, wait till the tempest is done, Hope for the sunshine tomorrow, after the shower is gone. Refrain: Whispering hope, O how welcome thy voice, Making my heart in its sorrow rejoice. And from another friend came a poem from Emily Dickinson, "Hope Is the Thing With Feathers." Hope is the gentlest and most easily overlooked Advent theme, but it has great power. As "Red" puts it in Shawshank Redemption (a movie about hope): "Hope is a good thing. Maybe the best of things." Hope with a gentle persuasion, whispers her comforting word.